AAT Bioquest, Inc. (formerly ABD Bioquest, Inc.) develops, manufactures and markets bioanalytical research reagents and kits to scientists engaged in life sciences research, diagnostic R&D and drug discovery. We specialize in the area of photometric detections including absorption (color), fluorescence and luminescence technologies. The Company's products enable scientists and biomedical researchers to better understand biochemistry, immunology, cell biology and molecular biology. 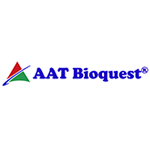 AAT Bioquest constantly introduces new products, and offers a rapidly expanding list of products that are grouped into several product lines. We also offer physiological and neurological probes, e.g., calcium indicators and membrane potential probes. Besides the standard catalog products we also offer custom service to meet your special research needs. Our current services include custom synthesis of colorimetric, fluorescent and luminescent probes, custom development of biochemical, cell-based and diagnostic assays and custom screening of your compound libraries against your defined targets using our validated HTS assays.